Everyone loves Orchids. The sizes, shapes, textures... goodness, there are so many, it's hard to choose just one. 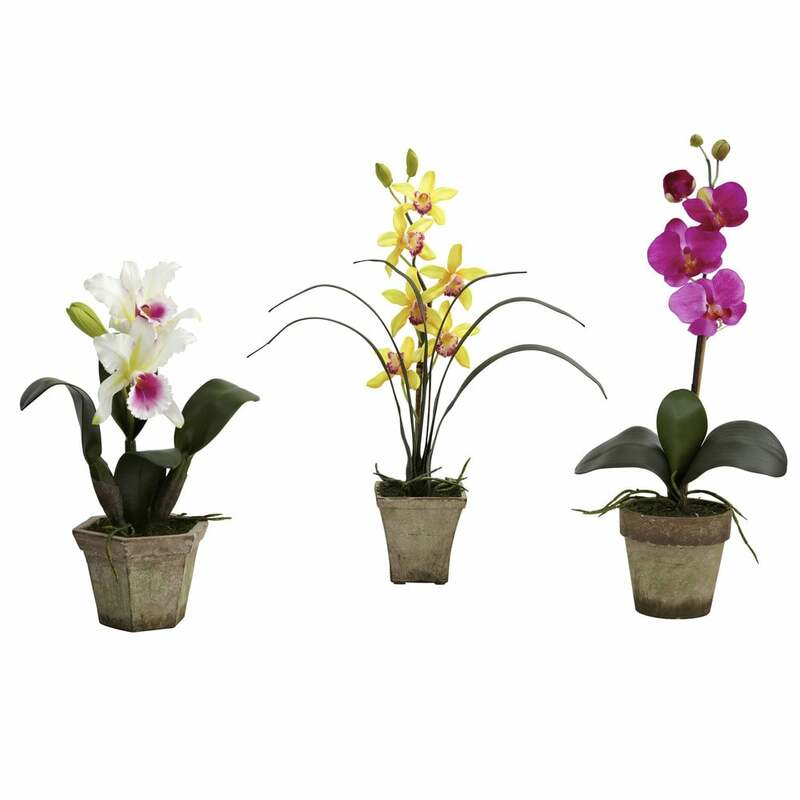 No problem here, as this "triple set" gives you three orchids, all inside their own decorative planter. Marvel at the different colors and textures available for your home or office decorating pleasure, or surprise someone with a gift that will make them smile three times over!